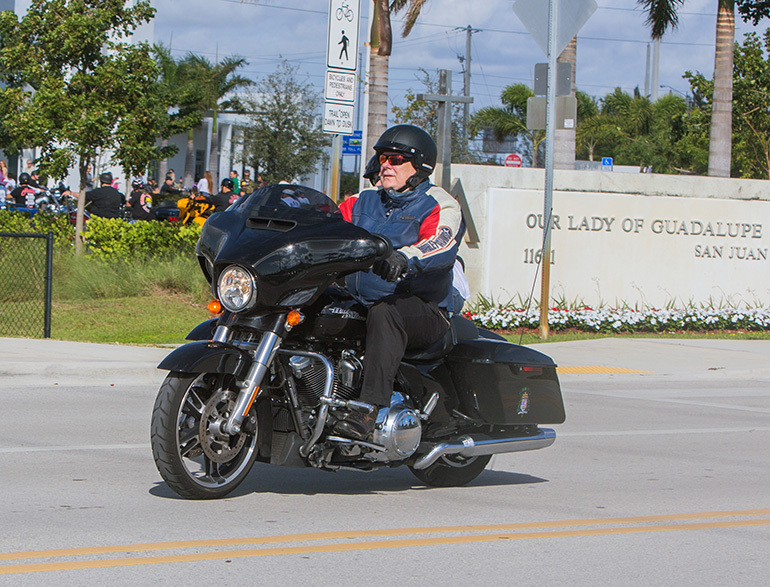 DORAL | Bikers led by Archbishop Thomas Wenski roared through the streets of South Florida Feb. 4 — Super Bowl Sunday — but not to celebrate the big game. The annual Archbishop’s Motorcycle Ride raises funds for St. Luke’s Center, a drug and alcohol-abuse treatment facility operated by Catholic Charities. Dozens of bikers joined the archbishop for 8:30 a.m. Mass at Our Lady of Guadalupe Church in Doral, then followed him on the 31-mile ride to Peterson’s Harley Davidson in northwest Miami-Dade County, where they enjoyed a BBQ lunch and some fun and games. Photographer: MARLENE QUARONI | FC Archbishop Thomas Wenski sets out on his annual ride to raise funds for Catholic Charities’ St. Luke’s Center, a rehabilitation facility for those addicted to drugs and alcohol. The ride began with morning Mass at Our Lady of Guadalupe Church, Doral, and ended at Peterson’s Harley-Davidson in Northwest Dade, with dozens of fellow bikers taking part. The annual event is coordinated by the Archdiocese of Miami’s Development Office. 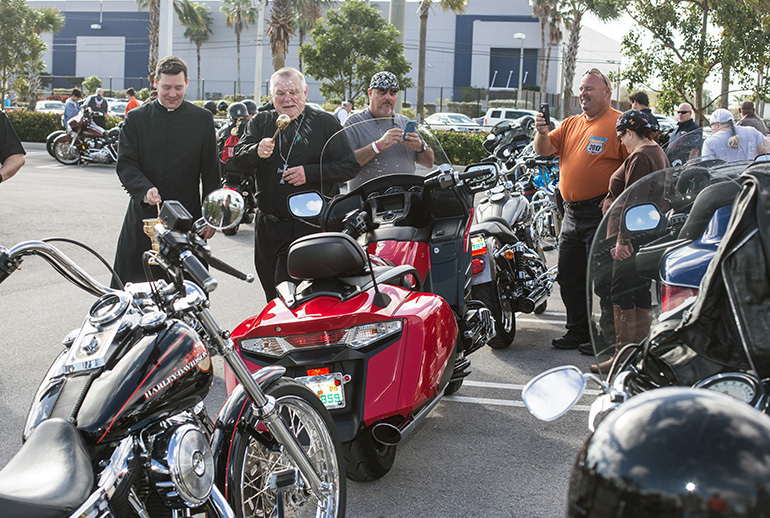 Photographer: MARLENE QUARONI | FC Archbishop Thomas Wenski blesses motorcyclists and their bikes before leading dozens of them on a ride from Our Lady of Guadalupe Church, Doral, to Peterson’s Harley-Davidson in Northwest Dade. The annual ride raises funds for Catholic Charities’ St. Luke’s Center, a rehabilitation facility for those addicted to drugs and alcohol.